The Zero Ted Band actually got its start in Lawrence Kansas with 5 musicians, two from Kansas and three who were living in and around Vermillion, SD in 1970. The band was originally to be called the “Blue Things” and booked by an agency from Kansas. 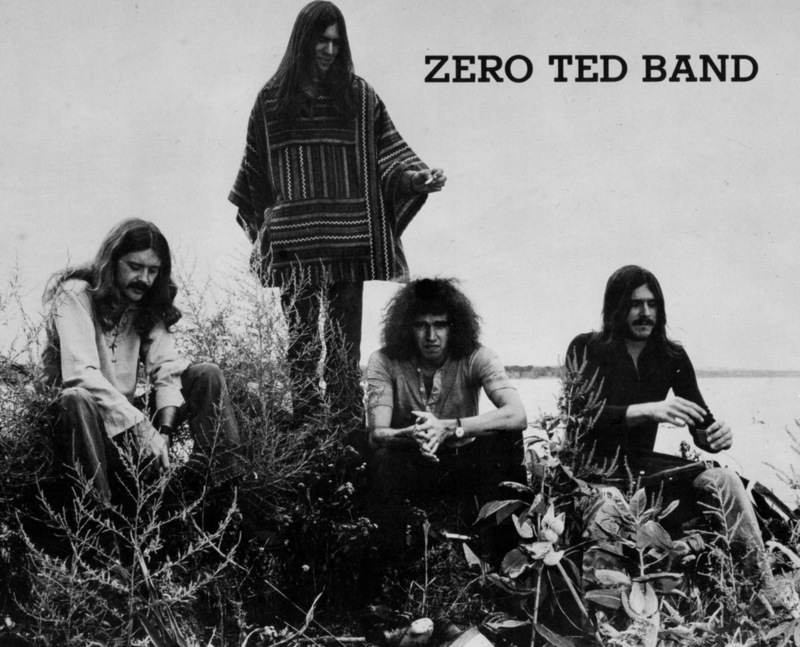 But after a falling out with them, the band changed its name to the “Zero Ted Band” and moved to Denver, CO. Shortly thereafter, the band moved back to a farm house in the Vermillion area and it is there where the band set its permanent roots. Originally playing cover songs from the “Allman Brothers”, “Buffalo Springfield”, “Johnny Winter”, etc. the band progressed into a more eclectic style of music covering songs from bands such as “Yes”, “The Mahavishnu Orchestra” and “Gentle Giant”. Eventually they recorded 4 original songs some of which will be released on their official website (http://www.macandjoan.com/ztba) by the end of October, 2014.